Can you feel it? That nervous excitement of signing up for a big race or challenge is a sensation unlike any other. “Can I really do this? What if I fail?” Questions and doubts swirl in your head, but you know that as soon as you click “Submit” there is no backing out! Her passion for racing, and her belief in the life altering power of the starting line, is so intense that she had to share it with others. So, for her 40th birthday, she decided to do something BIG. 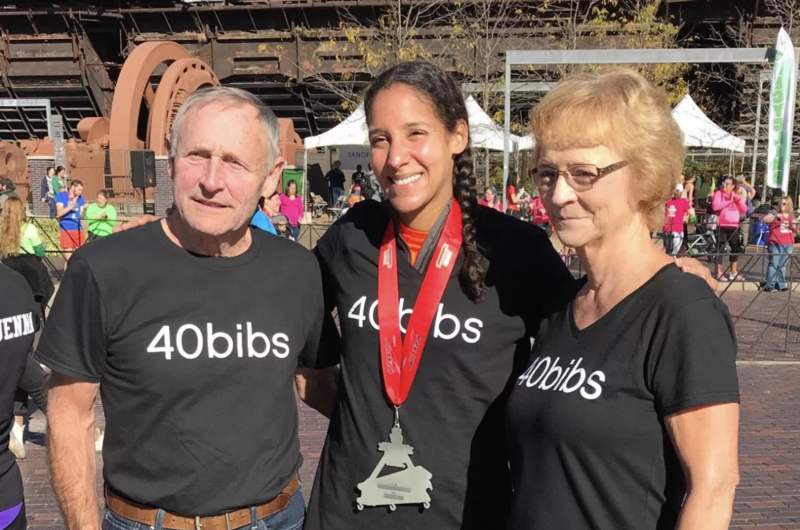 She dedicated herself to not only run 40 races, but also to helping others find their own challenges and starting lines by pledging to pay for 40 strangers to enter 40 races in 2017. She was selected in 2017 as one of Women’s Running magazine’s 21 women transforming the world through running. She is changing lives one race entry at a time. Jenna will complete 49 races in 2017 and has already given away 27 entries or “bibs” to complete strangers. She has 13 more to give. We are so inspired by Jenna and honored to call her a friend that when she asked if we could team up to give away her last 13 we jumped at the opportunity! Many lives including Jenna’s have been changed by taking part in our “Run The Year” challenge. 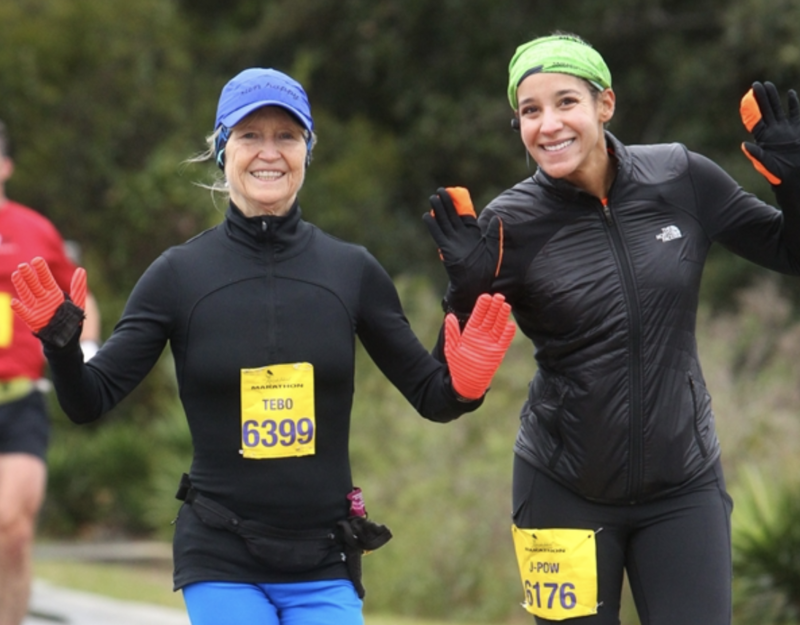 She wants to dedicate her final 13 bibs (entries) to people who would love to take this challenge but need a little help affording the entry fee. Run The Edge is matching Jenna’s contribution so we are going to offer a full 26 registrations to help out people who might not otherwise get this experience. If you know someone who would like to participate in the 2,018 Miles in 2018 challenge but does not have the money to register, you can nominate them at the link below. You may also nominate yourself. All nominations are anonymous and we will contact the people directly with details. Here is a link to NOMINATE a person you know. All nominations should be in by December 26th and we will select and contact the recipients on 27th. Thank you Jenna for inspiring all of us this year and for changing lives one bib at a time! Want to hear more from Jenna? She was just interviewed on the “I’ll Have Another” Podcast. Listen to it HERE.